NSK's maintenance-free ball bearing unit is sealed with a high-quality lithium base grease suitable for use in sealed bearings for long-term use. The sealing device with excellent sealing on the bearing not only prevents leakage of grease but also prevents foreign dust and water from entering the bearing. When the bearing rotates, the inner seal grease runs inside the shaft, so that the grease inside can provide sufficient and effective lubrication, and it is possible to dispense grease for a long time. (1) Pre-packaged quantitative high-quality grease, users do not need to add grease before use, which can reduce the user's maintenance workload and reduce maintenance costs. (2) Since it is not necessary to add grease, it is not necessary to add equipment such as oil pipes for grease, which makes the equipment more compact. (3) Sealing can prevent grease from leaking and polluting the environment. Compared with other similar products, NSK's grease-filled ball bearing assemblies are designed to be greased with a 2° tilt to the left and right. Usually, the oil hole and oil groove on the bearing seat will reduce the strength of the bearing seat. NSK can reduce the negative impact of this face as much as possible by properly selecting the oil hole and oil groove position. Maintenance-free performance is well suited for use under normal indoor conditions, but grease-filled ball bearing assemblies are required for the following special applications. * Can withstand high temperature bearing components at 200 ° C, 392 ° F.
(2) There are many impurities and dust, but the space is not allowed to add dustproof cover to the shaft assembly. (3) It is often washed by water or other liquids, and space is not allowed to be added to the bearing unit. (4) When the humidity is large and the bearing is intermittently operated. (5) When the rotation speed is high and the sound requirements are high, such as fans and air conditioners. The standard seal consists of a heat-resistant and oil-resistant synthetic rubber seal and a specially designed oil slinger ring. The sealing ring is fixed on the outer ring, and is fixed by the metal skeleton, and the lip is in contact with the inner ring to reduce the friction moment as much as possible. The slinger ring is fixed to the side of the inner ring. When the bearing rotates, the slinger ring follows, and the three bulges on the slinger ring form an outward wind flow to prevent foreign dust from entering the bearing. The double-layer sealing structure prevents the leakage of the internal grease and prevents foreign dust from entering the bearing interior. NSK with dust cover ball bearing assembly consists of a standard bearing unit with a specially designed dust cover. Bearings and housings are sealed on both sides, so the bearings can be used in harsh environments such as powder mills, steel equipment, casting equipment, electroplating equipment, chemical equipment, etc. Equipment under wind and rain, or heavy industrial equipment such as construction machinery and transportation equipment. The rubber seal on the dust cover is in two-layer structure. Sealing the double grease between the double seals can not only seal the seal, but also prevent the foreign dust from entering the inside. In addition, the design is also designed. The seal can move freely in the axial direction when the shaft is tilted. When the bearing is used in water, it is necessary to open the drain hole at the bottom of the dust cover. The positioning of the inner ring of the bearing is realized by the set screw. This positioning method can ensure the looseness of the screw even in the case of vibration and shock. The outer diameter of the outer ring of the bearing, the inner diameter of the outer casing is spherical, so the bearing has a self-aligning property. The deflection and tilt of the shaft caused by poor mounting or the like can be adjusted by the self-aligning property of the bearing itself. The bearing internal cage and the rolling limb are designed in the same way as the deep groove ball bearings of the 62 and 63 series, and can withstand both radial and axial forces. 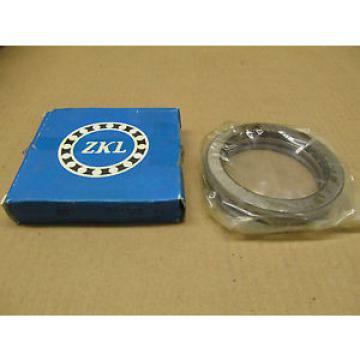 Compared with the housing of the self-aligning ball bearing, these bearings have higher bearings. Carrying capacity. Bearings and housings are available in a variety of different types, from high-quality cast iron or high-precision stamped steel, with high strength and light weight. These two different manufacturing methods are made of stamped steel. The product has a lighter character. The NSK bearing unit is a one-piece structure. Because it has been sealed with a proper amount of high-quality grease, it can be used directly, as long as the operation test is awakened after the installation. In order to facilitate the installation of the bearing and the bearing housing, there are positioning pin holes on the bearing housing, which can be used if necessary. The bearings in the NSK imported bearing unit are interchangeable. When the inner bearing is damaged, the inner bearing can be replaced separately.